Original software on Apple IIgs by Antoine VIGNAU and Olivier ZARDINI. 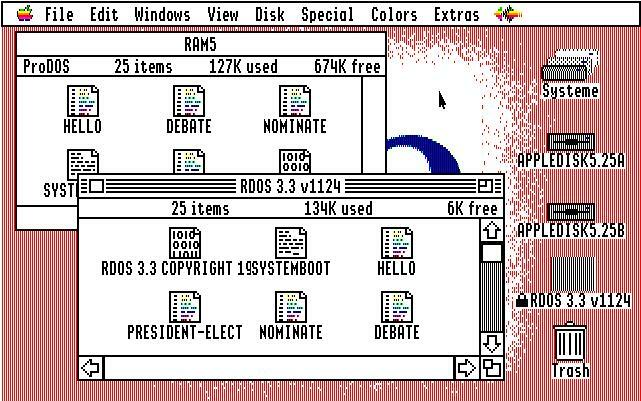 The first non-Apple ever-released File System Translator for the Apple IIGS GS/OS operating system handles rDOS 3.3 5.25 disks. The rDOS operating system is (c) Roland Gustafsson. rDOS 3.3 is our first File System Translator. It is a read-only FST and in a few kilobytes, the user is able to view and copy all of the files contained on an 5.25 disk.